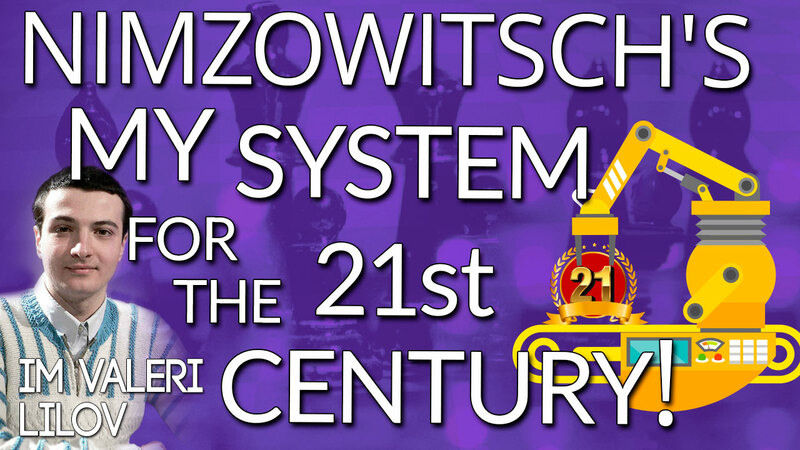 Aron Nimzowitsch's My System is one of the most famous chess books of all time with many older players naming it as the most helpful in their development. However, the language is old-fashioned and the concepts, while essential building blocks of chess, could be better explained. In this week's webinar, I am going to explain some of the key ideas of Nimzowitsch's My System for the modern chess player. No need to get a dusty old book out and set up your chess board, you'll have an International Master detailing everything live! • The best way to blockade a potentially strong pawn - especially useful if your opponent still has a lot of pieces on the board, ready to support its advance. • How to prevent your opponent's pawn storm against your King with a super-solid fortress setup (and an interesting way the attacking side can mix things up). • The stunning rook sacrifice in the endgame that demonstrates the power of the bishop pair. • The counter-intuitive knight manoeuvre that floored Rubinstein as Nimzowitsch picked up the brilliancy prize.